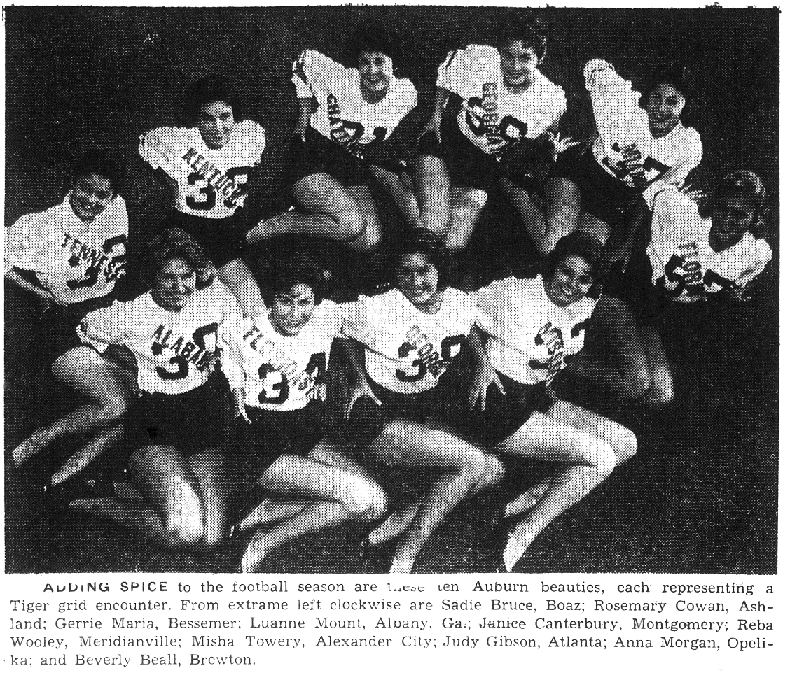 In 1960, someone had the fantastic idea to pose ten jersey-clad Auburn coeds in pageant sashes bearing the names of each of Auburn’s football opponents for a Plainsman photo. Whoever it was was obviously the world’s biggest fan of sports-related double entendres. We we wouldn’t even know where to begin. So we won’t. Photo from the Sept. 23, 1960 issue of The Plainsman. Related: The War Eagle Special. Help TWER to keep on keepin’ on with a modest donation.